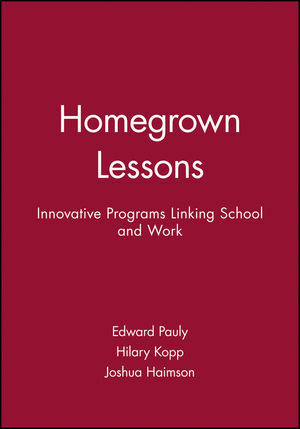 Looks at a wide array of the most promising school-to-work efforts and offers practical insights for both educators and employers on how to make these programs more effective. EDWARD PAULY is senior education researcher for the Manpower Demonstration Research Corporation (MDRC), where he was the principal investigator for MDRC's three-year School-to-Work Transition Project. Pauly is the author of The Classroom Crucible (1991). HILARY KOPP was a staff member of MDRC's School-to-Work Transition Project. JOSHUA HAIMSON was a staff member of MDRC's School-to-Work Transition Project.